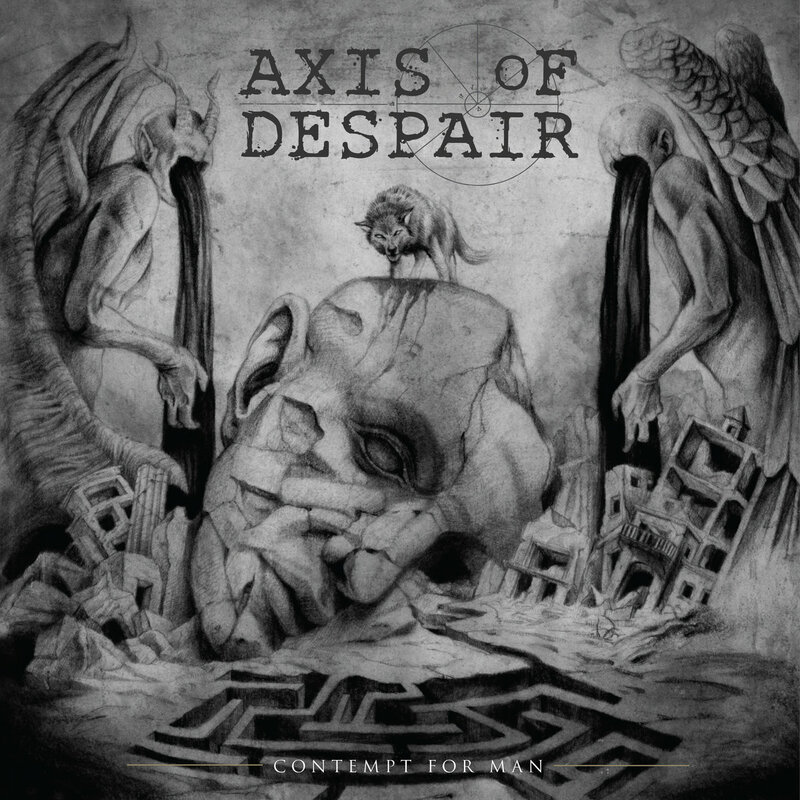 Axis of Despair is a relatively new Grindcore band in the scene, but their musicianship averages almost fifteen years, formed out of the ashes of bands like Death metal Coldworker and the extinct masters of Grindcore, Nasum among others, they know exactly what they are aiming for, here you will find out a pure and straight forward discharge of the most beautiful blend of Swedish Punk and Crust to deliver a gratifying Grindcore. 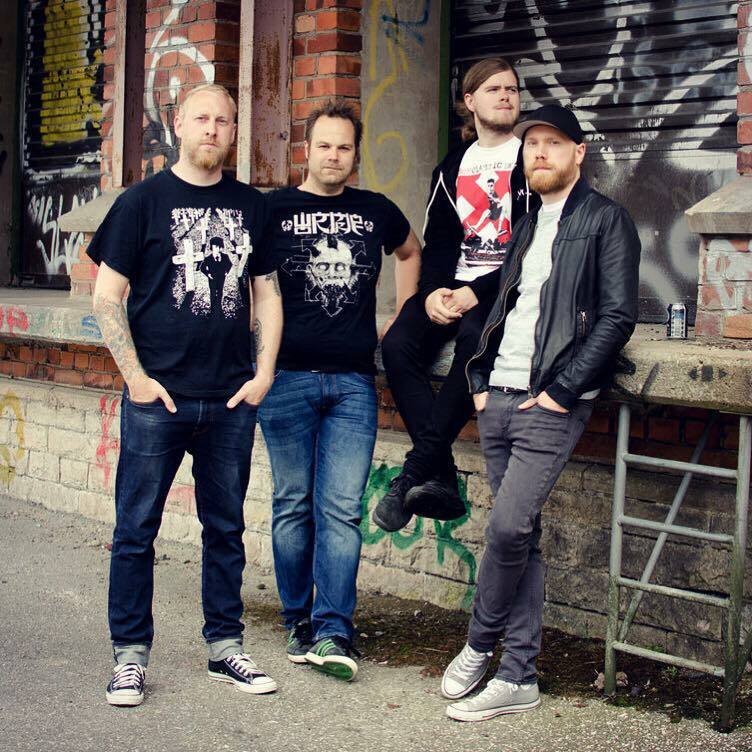 By the end of Autumn 2015 we got their first warning in the shape of an 7 inch EP entitled "Time and Again" released by the Polish label Selfmadegod Records containing six furious tracks clocking around nine and a half minutes and then again by mid of Autumn of 2016 almost a year later, their second 7 inch EP called "Mankind Crawls" released by American label Give Praise Records saw the street light and as you know already, they didn't missed their intentions, delivering a total hostility and warlike sound contained somehow in six tracks, timing once again the nine and a half minutes, is it coincidental or intentional? you will have to decide! It took them practically two years to release their very awaited debut album "Contempt for Man", released by Southern Lord Recordings, enclosing twenty unrelenting, aggressive and fulminant tracks, "Contempt for Man" production sounds remarkable with their previous works, more clear and distinctive, but; don't take my words to excuse yourself and avoid listening to this album, because you will regret it later. The first track is "Värdelös" violent from the beginning is only the prelude for what’s coming the next thirty-two minutes, "The Wolven Law" by a second will catch you off guard to pummel your senses merciless, "Crush the Empire" is one of the two longest tracks on the album, the dynamic here changes for few minutes delivering a semi-slow pace track, inflicting some heavy grooves riff, that allows you to catch your breath, a memorable track, however; Axis of Despair quickly hooks you up again within the next track, "Pre-Emptive Nuclear Strike" filled with their characteristic raging speed, "Vile Behaviour" and "Defeat" won't let you get away both tracks sounds catchy and brutal at the same time, in the closing track "Flytande Död" you are tricked by twelve seconds with a semi-slow pace but suddenly shift gears into the only way they know, fast-paced and untamed, interesting is how they subtly alternate the speed along the track, a noteworthy ending. Something to remark in "Contempt for Man", every part that comprises this album, is undoubtedly very well structured, the heavy bass lines by Oskar Pålsson are tremendous, the guitar work is exceptional by Kristofer Jankarls, while the driven force falls totally behind the drum set by Anders Jakobson and nobody can ignore the energy delivered in every bark-style vocals by Joel Fornbrant, Axis of Despair really deserve to be in your forthcoming Grindcore bands list to check, if your likes goes from Napalm Death, Nasum, Repulsion, Pig Destroyer or Brutal Truth, then you don't have any excuse to listen them.